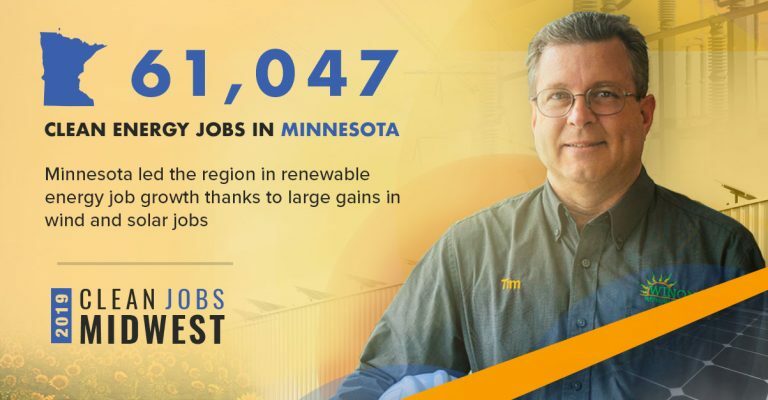 A report released today shows that Minnesota could retire the state’s coal plants, build no additional natural gas plants, and still meet energy demands reliably through clean and renewable energy sources. The report, commissioned by the McKnight Foundation, also shows that the state can meet its greenhouse gas reduction goals while reducing energy costs and tripling clean energy jobs. The report details how Minnesota can significantly reduce its reliance on fossil fuels by replacing the energy that is currently used in buildings and the transportation sector with clean energy sources to achieve the state’s target for greenhouse gas emissions reductions: 80% by 2050. Minnesota is currently failing to meet its bipartisan carbon reduction goals. Read the full report, “Minnesota’s Smarter Grid: Pathways Toward a Clean, Reliable and Affordable Transportation and Energy System.” Read the executive summary. Energy Costs Would Go Down. Electricity rates would decrease by approximately 30% and average households would save approximately $1,200 per year in energy costs. Clean Energy Jobs Would Triple. Jobs in the clean energy sector would more than triple, creating an estimated 14,000 jobs in the wind industry and 36,000 jobs in the solar industry by 2050. In fact, jobs, incomes, and state level GDP would all increase under the clean energy scenario. Cleaner Air and Healthier Communities. In addition to reducing greenhouse gases, the report shows a significant reduction in other pollutants harmful to human health. This means cleaner air and healthier communities. Powering the transportation and heating sectors with clean energy provides significant pollution reduction. 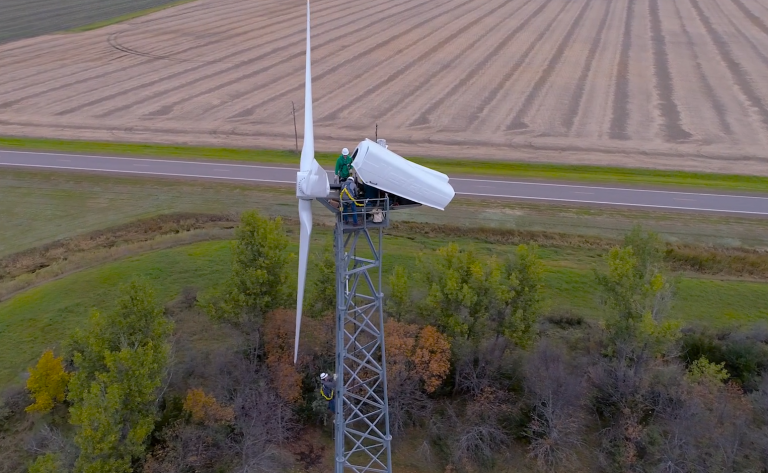 While the state’s electric generation has been getting cleaner, Minnesota has not been making progress in its transportation and heating sectors. The report shows scenarios to reliably power heating and transportation with clean electricity, reducing greenhouse gas emissions from these sectors. “Minnesota’s Smarter Grid: Pathways Toward a Clean, Reliable and Affordable Transportation and Energy System” was modeled and authored by Vibrant Clean Energy. GridLab provided project management, and the McKnight Foundation sponsored the study. The study modeled electric sector scenarios to determine optimal pathways to the significant decarbonization of Minnesota’s economy. About Vibrant Clean Energy: A nationally recognized energy grid modeling firm based in Colorado. VCE creates computer optimization software to study pathways for energy systems futures. It also performs studies using WIS:dom to provide expertise in new arenas of electrification, decarbonization and variable resources. The mission of VCE is to help facilitate universal, sustainable, and cheap energy for everyone. About the McKnight Foundation: A Minnesota-based family foundation, seeks to improve the quality of life for present and future generations. Program interests include regional economic and community development, Minnesota’s arts and artists, education equity, youth engagement, Midwest climate and energy, Mississippi River water quality, neuroscience research, international crop research, and rural livelihoods. Founded in 1953 and independently endowed by William and Maude McKnight, the Foundation has assets of approximately $2.3 billion and grants about $90 million a year.